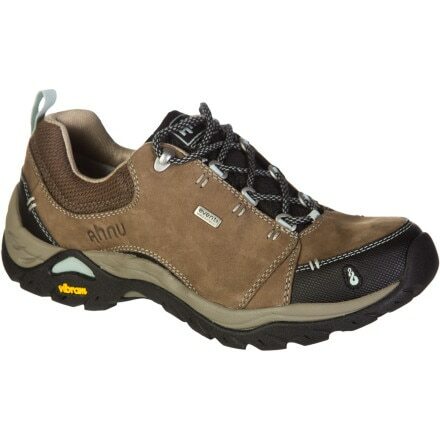 Built with a waterproof eVent membrane that delivers unparalleled breathability, the Ahnu Women's Montara Hiking Shoe definitely won't let a little wet weather or muddy terrain stand between her and some well-earned time on trail. Fast and versatile, the Viper II Low from Tecnica is a high-performance multisport shoe for moderate loads, fast hiking, and the occasional trail run. Weatherproof, fast, and versatile, the Viper Low TCY from Tecnica is a high-performance multisport shoe for moderate loads, fast hiking, and the occasional trail run. Sleek and waterproof, the Chameleon Arc 2 keeps your feet dry, while stride-specific QForm cushions every step and a Vibram outsole grabs muddy, wet terrain. For hot hiking conditions, the see-through mesh of the Merrell Chameleon Arc Pure delivers essential protection, yet liberates your feet with ample ventilation. This Siren Sport GTX sounds the alarm when the weather turns bad and keeps pace with the worst it throws out. Here comes the improved replacement for Merrell's popular Mesa Ventilator hiking shoe: The Moab Ventilator offers all the comfort and light weight you'd expect in a grippy, all-terrain hiking shoe. Cover miles of trails with Keen's Targhee II. A waterproof Keen.Dry membrane, reliable traction, and shock-absorbing comfort lets you meet challenges with confidence. Women specific, the versatile Pinhook from Patagonia features a triple-density midsole with Air Cushion Plus under the heel for shock-absorbing comfort and support on the trail. The Moab Ventilator from Merrell offers all the comfort and light weight you'd expect in a grippy, all-terrain hiking shoe. Highly ventilated with mesh panels, the Keen Voyageur is ideal for hot summer day hikes. Great traction and stability. 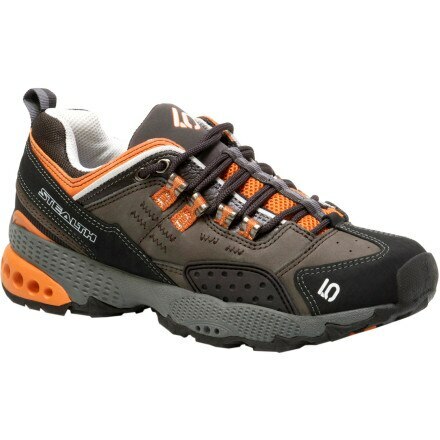 The perfect boot for approach and Via Ferrata, the Mountain Trainer from Salewa is comfortable enough for daily use. Breathe easy in the mesh and suede uppers of the Vade and experience the comfort and support of Chaco's Luvseat platform-while seeking adventure with Vibram's no-slip grip. An all-around approach shoe for bouldering and moderate climbs, Patagonia's Cragmaster is not intended for long-distance hikes or everyday casual wear. Designed for lightweight comfort and flexibility, Asolo's breathable Sunset Shoes deliver high performance and winning looks. Designed for lightweight comfort and flexibility, Asolo's water-resistant Shiver Shoes deliver high performance and winning looks. A women-specific hiking/trekking shoe with Vibram grip and traction, Patagonia's Release Leather provides full protection and a precise Dynamic Fit Lacing System for control on uneven terrain.